Rome. 6 December 2018. They took to the streets with invasions, surprises, disturbances, break-ins, rebellions; they have involved people, communities, have offered new points of view. 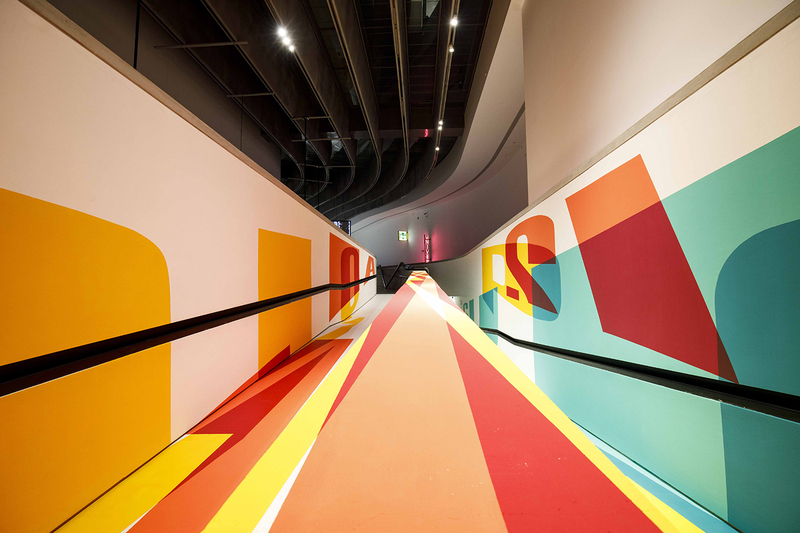 Starting in the 1960s, it was the artists who believed that the road was the modern intellectual, social and political battlefield. 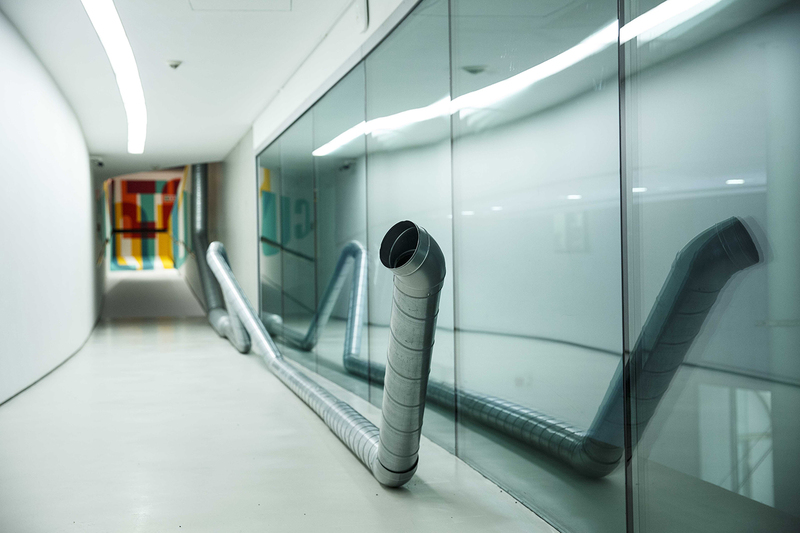 More than 200 works from more than 140 artists to describe a space that is not only a fundamental manmade infrastructure, but a place crossed by multiple meanings, sometimes victim of visual and physical bombardment – signs, advertising, surveillance cameras, garbage – a place where shared practices and new technologies are experimented, and a showcase of projects stemming from the needs of the communities. 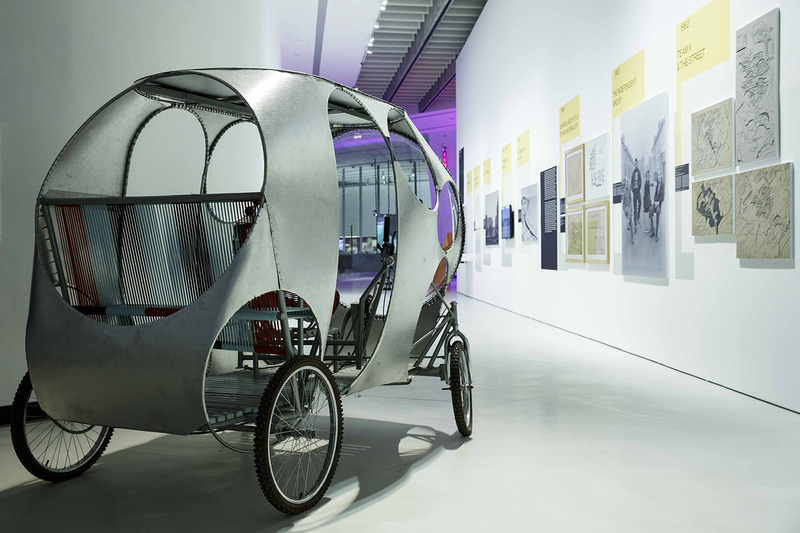 The main partner is Enel, the Fondazione MAXXI’s first private partner, which has chosen to support this exhibition in particular due to its extraordinary cultural and research value, offering free admittance to a programme of seminars with architects, journalist, philosophers and artists. A large wall will show works such as those by Andrea Bowers composed of drawings and anti-racial protest print covers, the large canvas Tutto il resto è noia by Andrea Salvino whose research is often dedicated to the dark and violent sides of recent Italian history; the feminist collages of Marinella Senatore who has made city parades one of the typical traits of her research, Demonstration Drawings by Rirkrit Tiravanija and The Devil You Know a five-pointed star composed of flashing police cars of Kendell Geers, an artist who has dedicated all of his work to political and social protests since the 1980s. On the other hand, Yang Jiechang and Pak Sheung-Chuen demonstrate memories and reflection on the 1989 event of Tiananmen and the Umbrella Movement for democracy in Hong Kong four years ago; and also Sam Durant that, with Proposal for Public Fountain, offers a possibility to reflect upon sociopolitical and cultural issues of the American history by intepreting in a very personal manner the notion of public monument, whereas Moe Sat, with cuts made on the silk of tipical Burmese umbrellas which are part of his work Parasol Alternative, creates a metaphor for the unstable condition of the people from Myanmar. 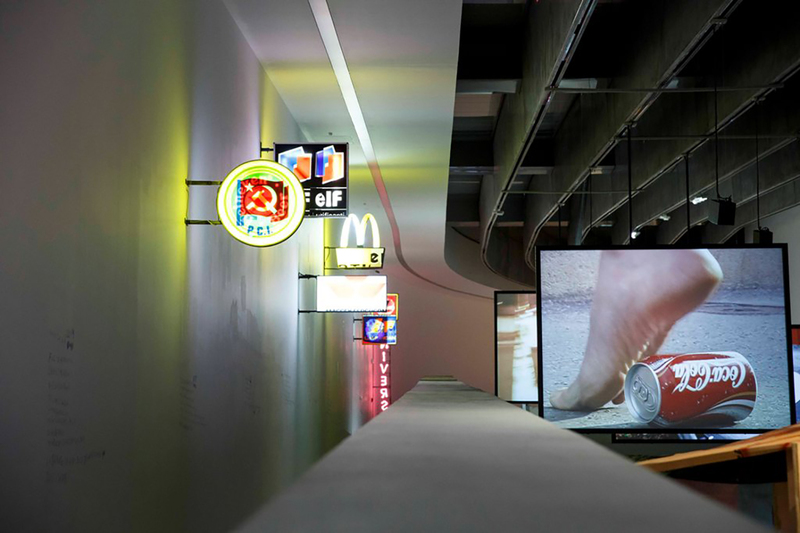 A fundamental role in the entire exhibition is attributed to the medium of video, the channel through which we look at the world today, an ideal vehicle for narration and at the same time a device for creating space, a tool for mapping and re-organizing the urban environment, the primary interface between public and private. Among those related to the theme of protest are Walked The Way Home by Eric Baudelaire, Angry Sandwich People by Chto Delat and O Levante The Uprising by Jonathas de Andrade. One of the works related to this though is MOBESE (Gold Camera) by Halil Altindere, that ironically recalls the control operated by surveillance cameras, Flavio Favelli’s neon signs, which are the result of assemblies that transform the original advertising function, Jimmie Durham’s Streets of Rome, a sculpture made up of materials found on the street and collected. Together with these are the videos by Adel Abdessemed, Francis Alys, Iván Argote, Marcela Armas, Fang Lu, Mark Lewis, and Jill Magid. Around the theme INTERVENTIONS (Walk, Play and Getting lost…) rotates the video works of more than 30 artists including Allora & Calzadilla, Cao Fei, Martin Creed, Jean-Baptiste Ganne, the collective Ha Za Vu Zu, David Hammons, and many others; works that show how thanks to the experience of artists of the 1960s and 1970s, modern artists have considered the street as a privileged context where to experiment more ordinary and more complex actions, and investigate the sensation of loss inherent to the urban dimension. The New Pompidou project video by Simon Fujiwara and Work in Public Space by Thomas Hirschhorn, The Road Show by Chim↑Pom and Riding Modern Art by Raphaël Zarka give voice to THE OPEN INSTITUTIONS (Street As Museum, Museum as Street) or how the museum has adopted characteristics of the street, bringing within it experiences, works and research conceived for the urban space. 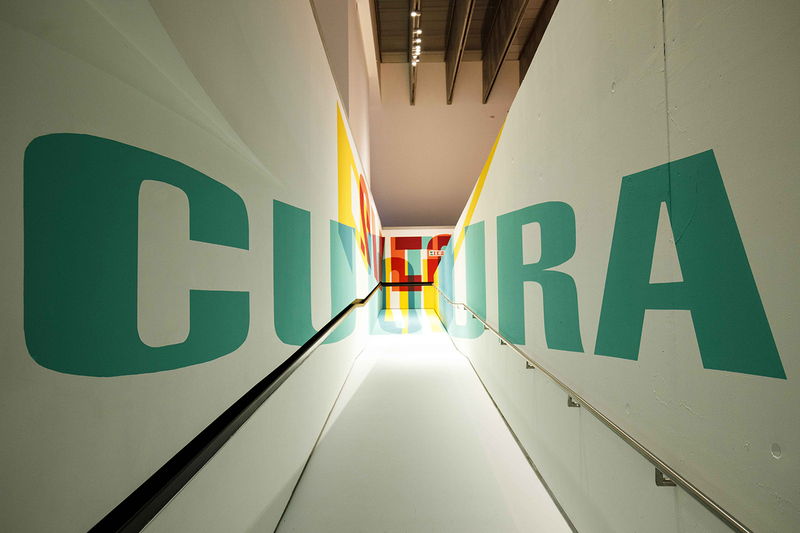 In parallel, the museum itself has become a street, losing in part its identification as a place of protection of a common heritage, because today it is proposed as a sharing place, in which events alternate and events take place. 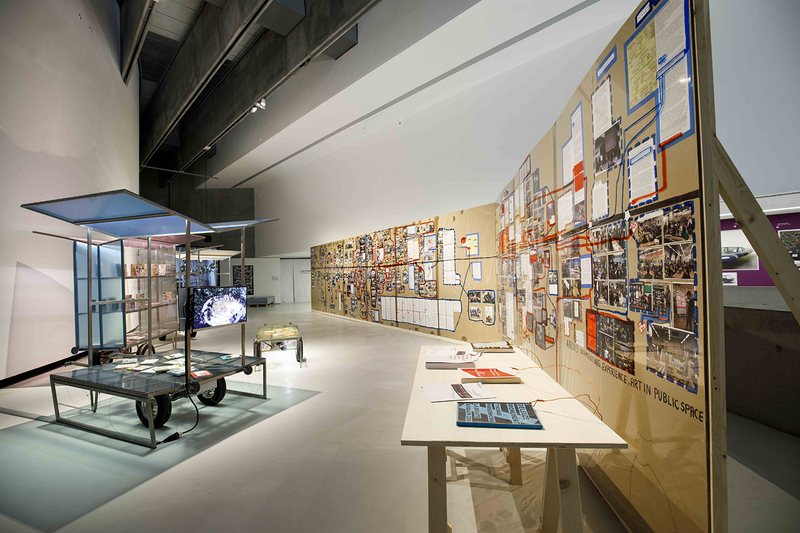 The MAXXI is designed as an urban connector, the ideal place where to experiment and implement this new type of open institution. 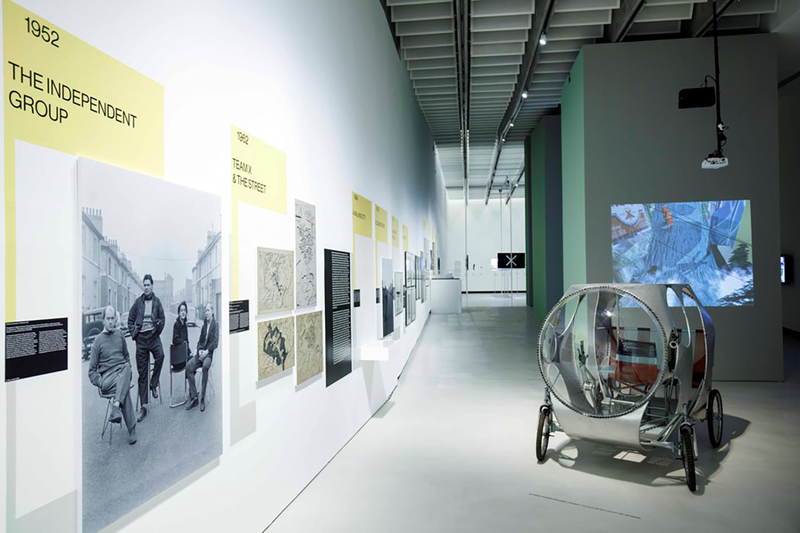 The last theme with which the exhibit deals with is MAPPING (Planned / Unplanned, Built / Unbuilt), which highlights the common characteristics between contemporary artistic research and architectural – urban planning, today characterized by vertical projects, elevations, underpasses, futuristic or utopian crossings, often in contrast with the built space and the urban utopia of the road as an authorizing element. Unavoidable, this theme is also related to the issue of the flow of humans and goods that in the street find one of the most obvious problems. 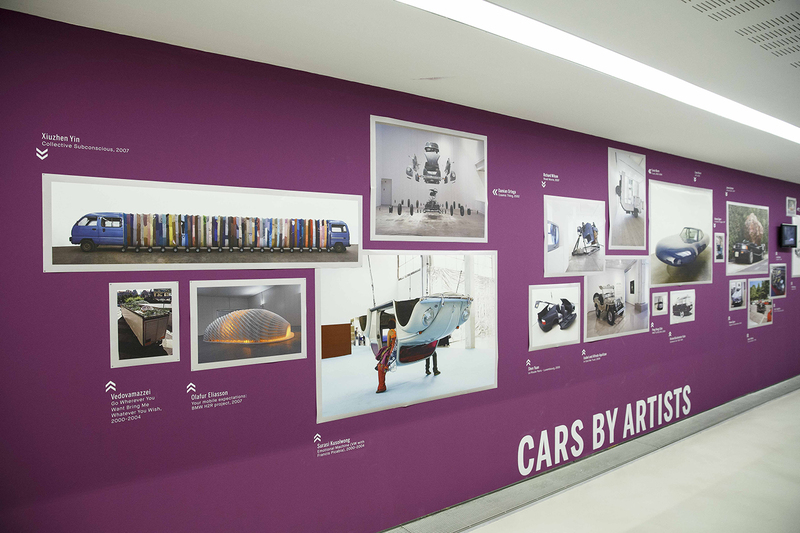 Among the works related to these themes are Free Post Mersey Tunnel an untidy structure composed of metal pipes by Rosa Barba, or In extremis (Fragments of Death) the asphalt floor studded with camouflage forms of cats run-over by cars buried in the highways by Zhao Zhao as well as the videos by Daniel Crooks, Map Office, and Zhu Jia. Two timelines accompany the exhibition path giving the opportunity to look at the street from a historical point of view, further explore the theme: RETHINKING THE CITY which tells its evolution from an architectural and urban point of view, an itinerary that, from the late 19th century, arrives at post-modernist visions that includes, among others, historical images, the Piano per Algeri by Le Corbusier, images from Las Vegas Studio (1966-71) from the archive of Robert Venturi and Denise Scott Brown, the Sistema disequilibrante by Ugo La Pietra and No-Stop City (1970-1974) by Archizoom. Instead dedicated to artistic research from the sixties to the nineties of the twentieth century, the crucial period for the formation of the current vision is the timeline STORIES OF THE STREET in which documentary materials become a series of comic stories created for the occasion by Liu Qingyuan, all dedicated to the emblematic events of some of the protagonists of these practices including Vito Acconci and Daniel Buren. 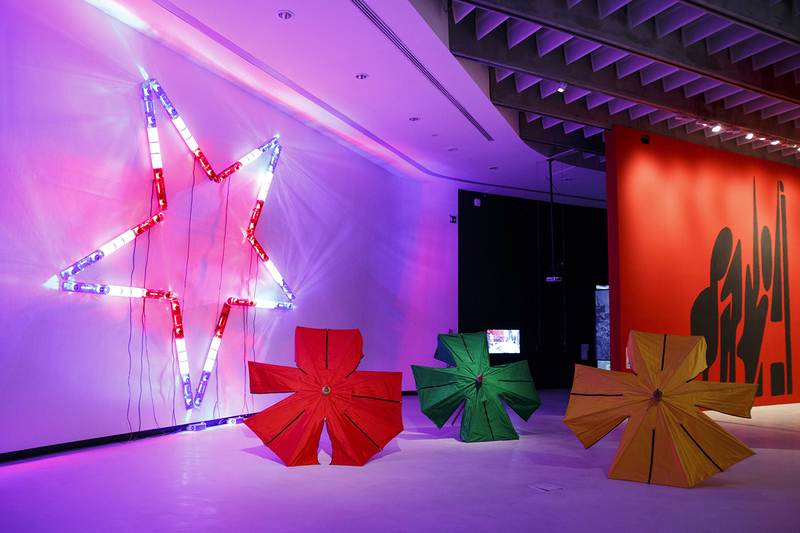 A video review accompanies the exhibition in the museum’s video gallery and a cycle of talks, also provides a series of artistic interventions outside the museum and a calendar of performances commissioned for the occasion, all with free admission. A specific site work by Barbara Kruger and the works Ai nati oggi by Alberto Garutti, Untitled (Green Woman on the Traffic Light) by Anna Scalfi, Don’t Miss a Sec’. 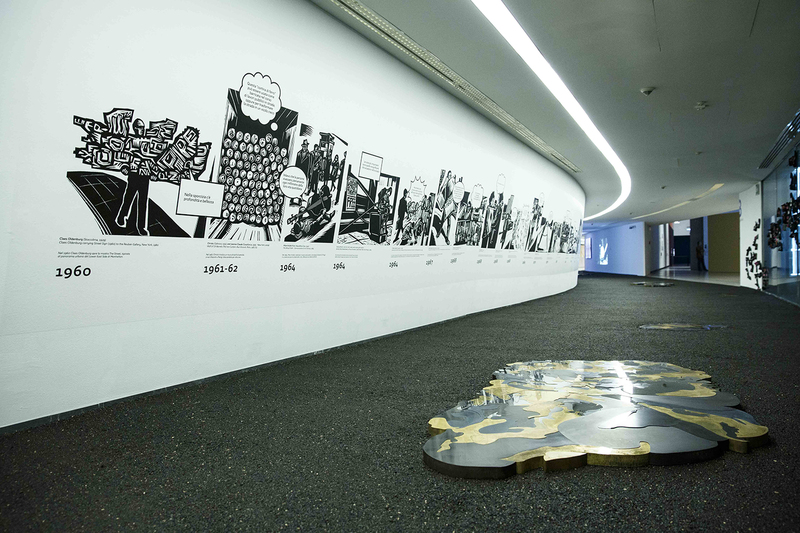 by Monica Bonvicini and Chiaroscuro by Alfredo Jaar are added to Liu Qingyuan’s newly produced images like wood-block prints, that recounts a narrative of historical artistic interventions in the global art history from 1960 to 2000.The performances will be held for the entire duration of the exhibit from 7 December 2018 to 14 April 2019. Jeremy Deller starts on 7, 8 and 9 December with How to Leave Facebook in which thousands of posters/flyers will be distributed in various areas of Rome, from the Testaccio market to the Colonna Gallery explaining how to protect the privacy on Facebook profile. In March, Lin Yilin presents the new performance The back (working title) designed for the exhibit, while in April the group OHT presents Little Fun Palace, a caravan that will occupy the streets of the Quarticciolo and Tor Tre Testa neighbourhoods, hosting meetings and debates open to the public. The exhibit is accompanied by a catalogue-book edited by Hou Hanru and the MAXXI curatorial and research team, published by Quodlibet, a mini-encyclopaedia that explores the subject of the street, with Book 1 designed as an introductory manual and anthology, and Book 2 composed as “visual” books dedicated to the seven themes addressed by the exhibition.